The experience of travelling throughout Austria and Southern Germany was the main influence for starting Pretzel Village. For a pretzel lover, this is like visiting Spain to pick out a hand made classical guitar and being immediately inspired to play. In Munich, which could be dubbed "the pretzel capital" of Germany, the restaurants, biergartens, street vendors, Christmas markets and even the airport cafe's, always have a display case, or a row of baskets, or pine wood pegged stands, or yards of twine hanging from large wooden beams displaying magnificent, mahogany colored pretzels. You can see them in various styles, shades, shapes and flavors and they are different from region to region. Pretzel Village pretzels are made using traditional German baker's guild techniques, the freshest ingredients and time honored European baking methods that haven't changed for centuries. Our pretzel recipe and baking method yields a similar burnished mahogany color as the pretzels found in Germany. They have a forgiving, slightly crispy exterior and a lofty, chewy interior with malty, beery overtones. Our influences don't stop in Germany though. The German donut or "Krapfen", as it is known in southern Germany (the "Berliner" to the north), is a refined masterpiece in its own right and has its share of variations, but nothing can compare to the more accessible and ubiquitous American doughnut in its sheer breadth of variety, endless flavors, frostings and icings. This is what keeps us searching for new twists on an old idea. Pastry like yet still having the authentic, familiar taste of yeasted artisan quality breads, our specialty sweet pretzels like our Gingerbread Pretzel with vanilla icing, our Vanilla Strawberry Iced Pretzel or our Market Square Maple Iced Pretzel, are a must try for doughnut and pretzel lovers alike. 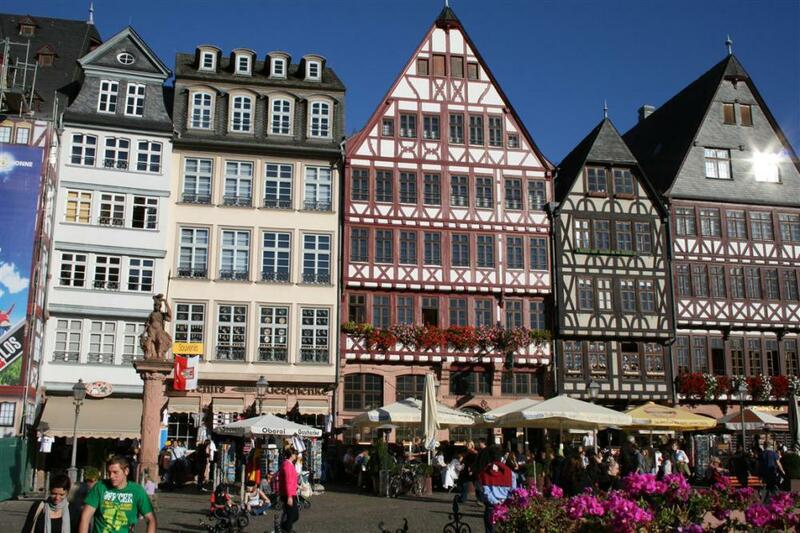 One of many German market squares with half- timbered houses. The "Schwartzwald", or, Black forest in Germany's south western corner region state of Baden-Wurttemburg (Swabia), the setting for many of the Brother's Grimm's fairy-tales. 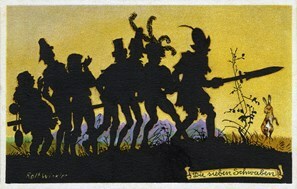 Pretzels in German folklore, as evidenced by the pretzels hanging from the witch's house in this beautiful silhouette from 1911 of Hansel and Gretel.